Travelling is more about exploring culture, exploring beliefs, exploring people and their thought processes, exploring food and most importantly exploring your own self. 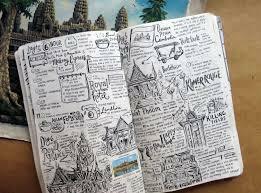 Travelling embraces the interest of a person, the capability of planning, time management, money management and lot more. When it comes to a woman traveller, it has more to it. Travelling has been a road less travelled for women but today’s ladies are breaking these norms and are touring like a BOSS. Presenting successful women travel bloggers, who have added fashion with travel and have influenced many followers with their tips for travelling. Run by Shivya Nath, this is an award-winning blog at the Indian Travel Blog. Her intriguing way of writing with her photography keeps her reader engaged in her blog. She, at a very young age, left her job to travel the globe, and this passion has definitely helped the masses to follow what they love. Hey stay at the foreign lands lasts up to a few weeks where she learns about their culture. She has also been featured on BBC Travel, National Geographic Traveller India and many more channels. My Haute Life is a beautiful amalgamation of the best fashion trends, real beauty tips and some exotic travel guides. Sonam lakhani, the founder of the website is simply worth following. Women and fashion go hand in hand. So, she shares her exciting trips with fashion tips and has allured masses with this concept. This smart traveller has recently travelled to Rome and has covered various places with the local delicacies. Rome is a beautiful vacay destination, but she has added more to it with her travel itinerary, and trendy travel wears. You must check out all her articles and we promise you will fall in love with her page. Lakshmi Sharath, an inspiring woman traveller, started as a media professional, but her love for travel has made her a wanderer, sharing unique experiences of her travel across the world in her blog, providing information on her stay. Her overwhelming captures speak about her love for varied destinations. The smiling face of Mridula Dwivedi has travelled across India and abroad and shares her exciting solo experiences. Her travel lust has set travel goals to many new aspiring travellers. Adding one more to the list of travel bloggers is a chirpy girl named Ankita. She is an Indian award-winning Travel Adventure Fashion Vlogger & Blogger. Her travel appetite keeps her always on the move to various countries. The Blog has been covered by various press and media houses. These Passionate travel bloggers will set you on wheels with their travel diaries and informative blogs covering almost every possible need of a traveller. Follow these blogs and stay updated with their new travel experiences and take note for your next vacay. Many are available on other social media like Instagrams, Facebook page etc. So backpack and make a move with the helpful and insightful blogs of these travel lust ladies! !